The opening session of the RaboDirect Age Group Track Championships provided plenty of action as the country's best junior riders opening the four day event in style at Invercargill's Stadium Southland Velodrome today. 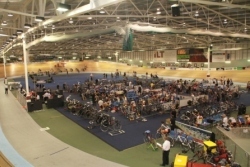 National records fell to the young and not so young on the opening evening of racing at the 2012 RaboDirect Age Group Track Championships in Invercargill tonight. World championship time trial medallist Linda Villumsen recently completed a BikeNZ Level One Road Coaching Course. Read about what else Linda learnt at the coaching course and more. 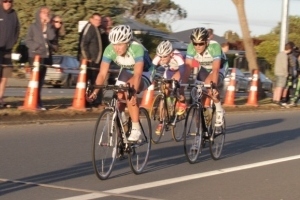 Another week, another major cycling event in Southland. 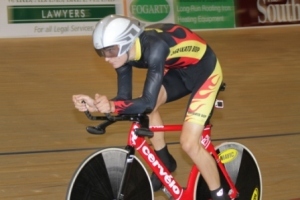 This time it is the turn of those track cyclists at either end of the age spectrum to descend on Invercargill for the RaboDirect Age Group National Championships writes Cycling Southland CEO Nick Jeffrey. Celebrating New Zealand's great riders, the inaugural Tour of New Zealand allows you to be a part of a team or an individual entry to take part in as much of this seven day event as you want - all while raising money for three worthy charities - Hikurangi, St John and the Westpac Chopper Appeal. Another awesome night of racing under the belt for the Southland crew! Cycling Southland’s Sequoia Cooper will line up in the BikeNZ National Team for the NZCT Women’s Tour of New Zealand in the Manawatu this week. 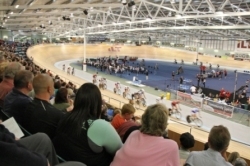 If we weren’t excited about Invercargill hosting the 2012 UCI Juniors Track World Championships in August, we are now writes Chief Executive Nick Jeffrey. 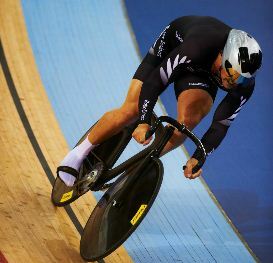 Cycling Southland's Eddie Dawkins completed his campaign at the UCI World Cup in London in impressive style qualifying in 13th place in the men's Sprint competition. BikeNZ CEO Kieran Turner answers claims that Waikato's proposed Home of Cycling will kill off the Stadium Southland velodrome. Entries are now open online for the 2012 Catlins Great Escape - The Lighthouse to Lighthouse Tour. Cycling Southland sprint queen Natasha Nansen continued her strong showing at her second ever UCI World Cup with a new personal best in Women's Sprint qualifying in London this morning. Cycling Southland’s sprint cyclists produced new records in elite company on the first full day of competition at the UCI World Cup in London. While both team sprint combinations just missed out on tonight’s medal round, they both established new best times at the Olympic Velodrome test event. Amongst the horses, hay and stands, we held an awesome night of Junior Racing on Friday. The men’s team pursuit will ride off for the bronze medal after their qualifying ride at the UCI Track Cycling World Cup in London. We had an awesome night of racing on Tuesday with great numbers and some really stand out performances across all the grades. Early Saturday evening 8 teams left the Velodrome on what was to be a three hour, 23km adventure. The Junior Division riders to represent Southland in Wagga Wagga have been announced - congrats guys! Also please find information regarding the Junior Division meeting this week and associated notices. Queenstown based campervan company The Pod is supporting Cycling Southland by offering heavily discounted deals for cycling and multisport events in the South Island. 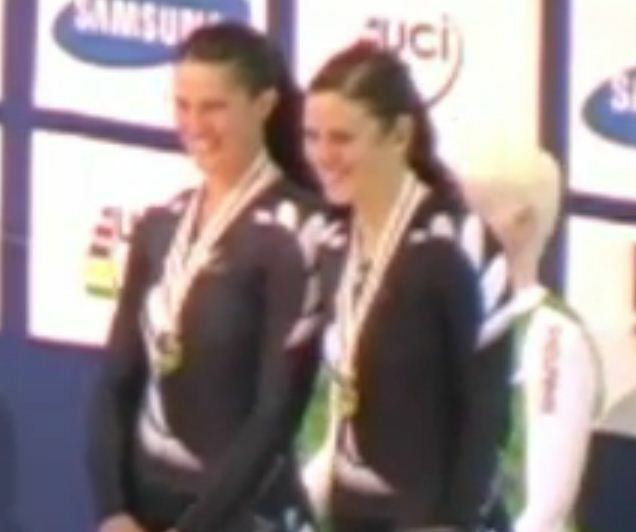 Cycling Southland's Phillipa Gray and Laura Thompson have won bronze in the Pursuit at the UCI Para-Cycling Track World Championships in Los Angeles this afternoon.